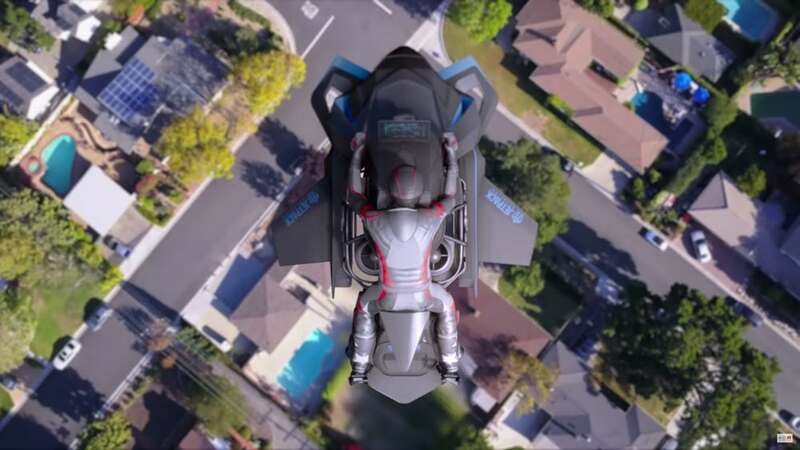 Jetpack Aviation has opened pre-order offers on the Speeder, a self-stabilizing, jet turbine-powered flying motorcycle capable of 15,000 ft in altitude and a max speed of 150 mph. 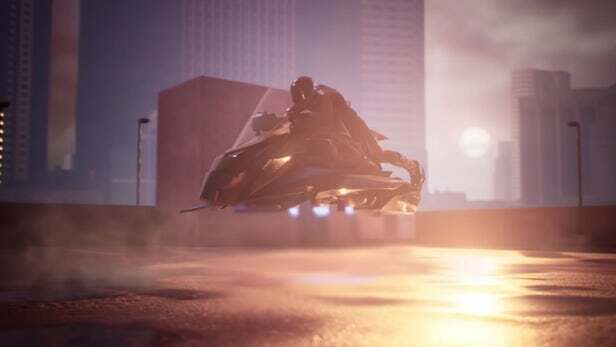 From the same company that designed and released the JB series jetpacks, the Speeder utilizes similar technologies and is fully VTOL capable, capable of effectively taking off from anywhere the size of a small car space. A conceptual image of the Speeder, both pilot and autonomous versions. Weighing in at 231 lbs., the Speeder utilizes four turbojet engines that produce a combined maximum thrust of 705 pound-force and can be fueled by kerosene, Jet A, or diesel. It can carry a load of up to 250 lbs. and fly for up to 22 minutes, depending on the altitude and the weight of the pilot. 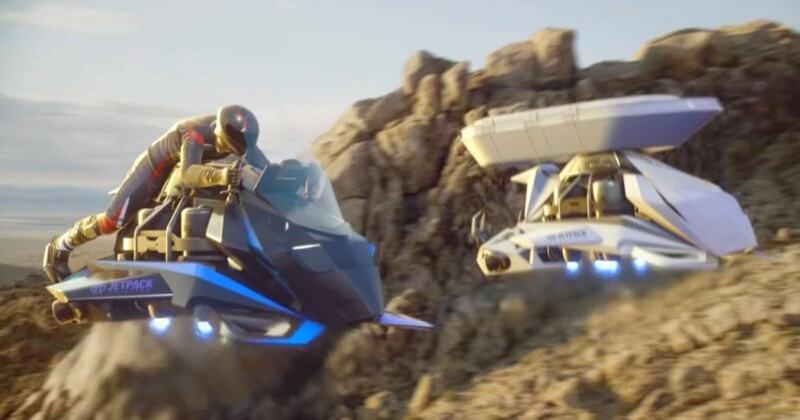 The Military Version of the Speeder will also feature an additional turbojet engine that boosts the Speeder’s thrust up to 1200 pound-force, autonomous control systems, and a longer flight time. The Recreational Speeder will have two versions for the consumer based on their personal needs, the Ultralight Version (UVS) and the Experimental Version (EVS). The differences between the two mainly lie in restrictions and requirements. The UVS will be limited to a 5 gallon fuel capacity and 60 mph max speed, but does not require a full pilot’s license like the EVS. Both versions will still require training to fly the motorcycle, and the EVS will also require the purchaser to be part of the manufacturing process in order to comply with FAA regulations on experimental aircraft production. The piloting itself is intended to be as simple as possible. Fully stabilized, the Speeder uses a tilt-to-accelerate flight system with hand controls, a two-way radio, and 12-inch touchscreen for navigation. An integrated fly-by-wire control system self-stabilizes the vehicle in the air similarly to a drone. If the pilot plans to fly at the maximium altitude of 15,000 ft, they will need to provide their own supplemental oxygen source. The Speeder, coming with its own flight suit and helmet, will be limited to 20 units listed at $380,000 USD. By pre-ordering with a down payment of $10,000 USD, the purchaser will be eligible for additional customizable options as well. Why it’s important: Jetpack Aviation has quickly made a name for themselves in the area of recreational transport and the UAM industry. With their eye catching and simple to use machines, UAM is continuously growing into a topic on everyone’s minds, and is garnering more and more support from the public audience, as well as being a contribution to the growth of the UAM industry.